While maintaining its bullish trend, GBPJPY is moving within higher ranges getting close to the EMA of 50. The EMA of 10 is below the EMA of 50. 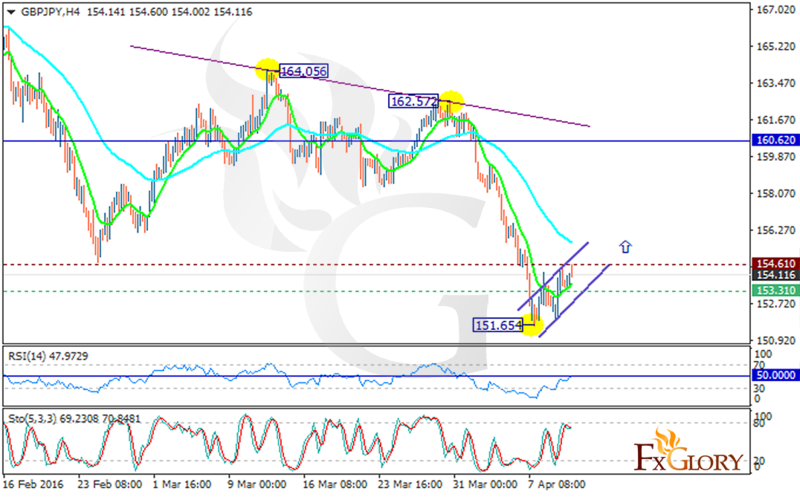 The chart has created a double top pattern at 164.056 and 162.572 therefore a double bottom might be seen soon. The RSI is not showing any sign of downward momentum and is crossing the 50 level. Moreover the stochastic is showing an upward trend as well. The support level rests at 153.310 with resistance at 154.610 both below the monthly pivot point at 160.62. Long positions are recommended with the target at 155.45.